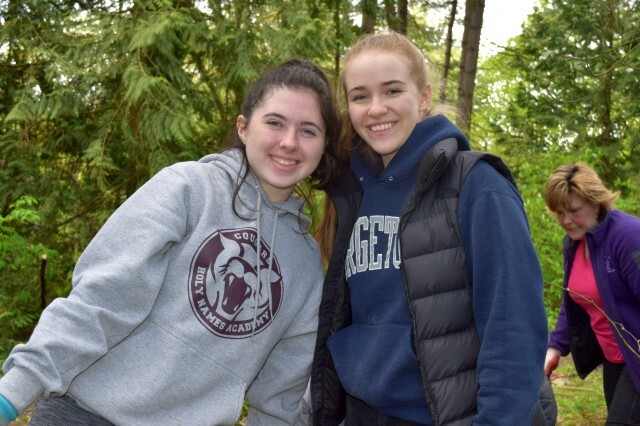 A Fabulous Earth Day Event! 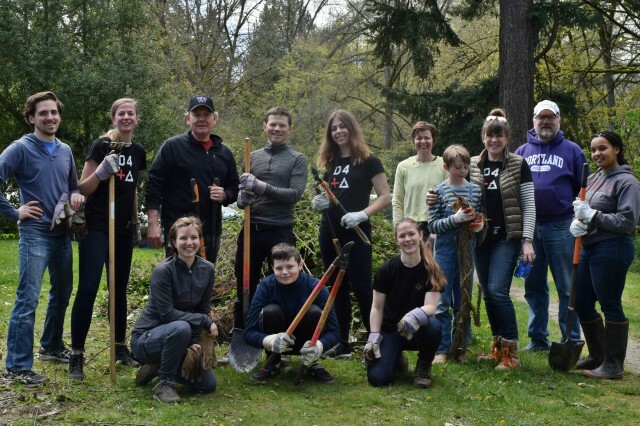 The 2018 Earth Day restoration of the Arboretum was a multi-generational effort! More than 260 volunteers of all ages participated in the Arboretum’s annual Earth Day work-service event on Saturday, April 21. And the difference they made in our park was truly astonishing! 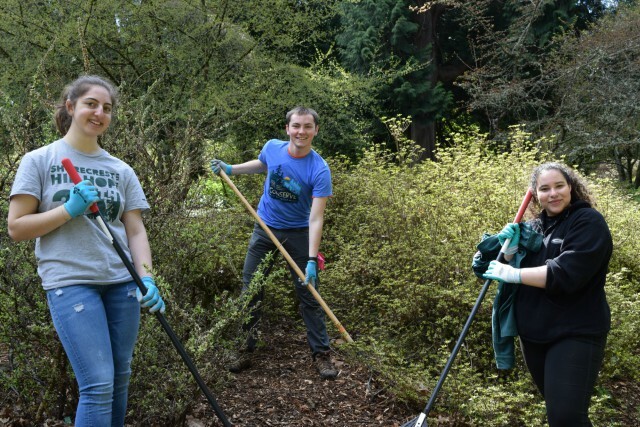 Once again, the Arboretum Foundation partnered with the Student Conservation Association (SCA), UW Botanic Gardens, and Seattle Parks and Recreation to organize the event. 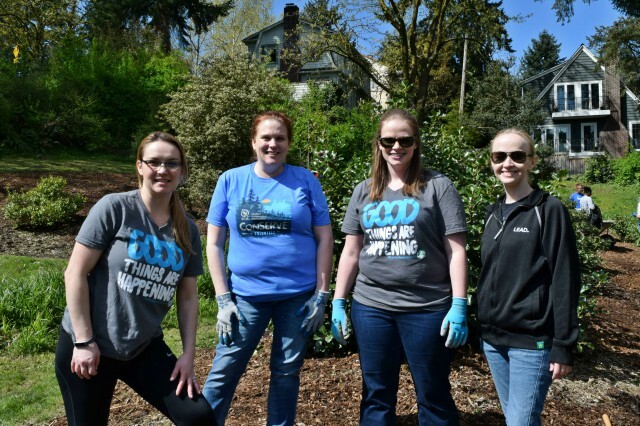 From 9 a.m. to 1 p.m., the volunteers worked with UW and City gardening staff to mulch beds, remove invasive weeds, and maintain trails in the Arboretum. 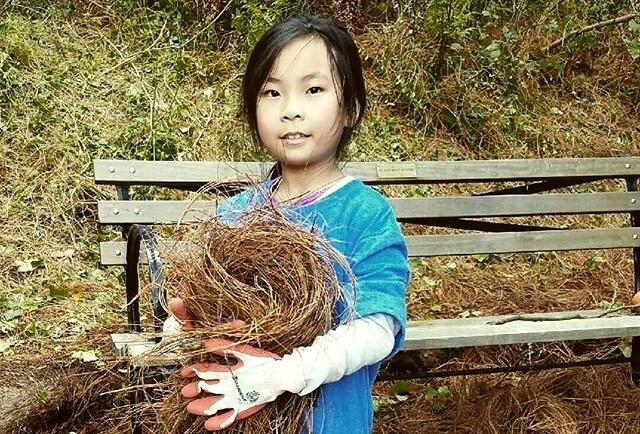 Seattle Parks head gardener at the Arboretum Amanda Hannah said that volunteers helped her staff spread 45-plus yards of wood chips on Azalea Way planting beds, remove 15-plus yards of blackberry and ivy around Duck Bay, and pull 7-plus yards of ivy and other invasive weeds on Yew Hill. 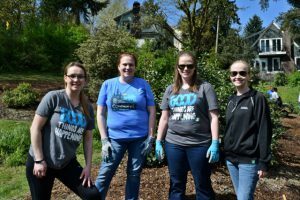 UWBG horticulture manager David Zuckerman reports that the volunteers helped spread 6,000 square feet of mulch in the Holly Collection. They also removed 23 yards of ivy, 3 yards of blackberry, and 20 yards of other weeds from a variety of locations around the Arboretum—including in the Oak Collection, the New Zealand Forest, and the Milburn Memorial. For the first year ever, we had a special designated work area (nicknamed “Project X”) for kids. The young tykes had fun pulling weeds near the small staircase connecting the north end of Crabapple Meadow to the service road above. When the work was done, the volunteers re-converged on Crabapple Meadow for an after-party!! The Movin 92.5 music van was there, cranking out tunes for the gathering. And Dante’s Inferno Dogs was on-site selling delicious hot dogs. 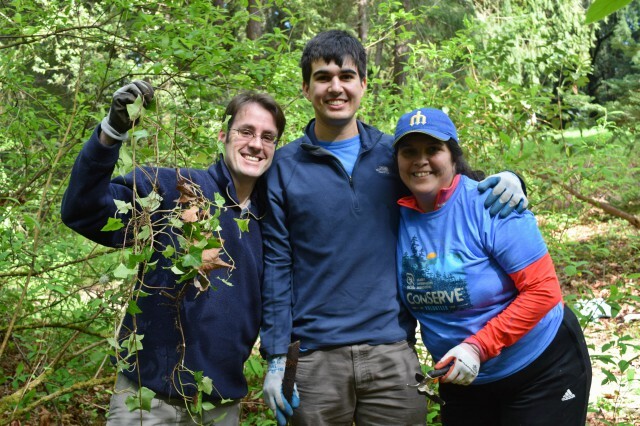 The volunteers also took home some nice giveaways, courtesy of the Arboretum Foundation, SCA, and Sugru. Thanks to everyone who came to show their love for the planet and their urban parks! 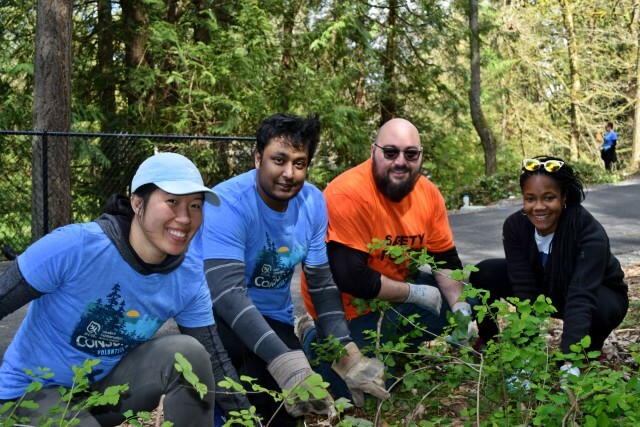 A special thanks to all our generous event sponsors for supporting the Arboretum, conservation, and volunteerism: Madison Parks Starbucks, Ladro Roasting, Clif Bar & Co., Townshend’s Dr. Brew Kombucha, Movin 92.5, Sugru. 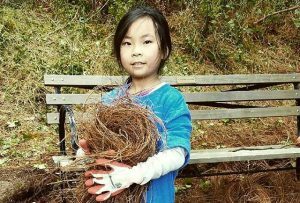 On YouTube: Check out this great video of the event created by Amanda Hannah, Seattle Parks.